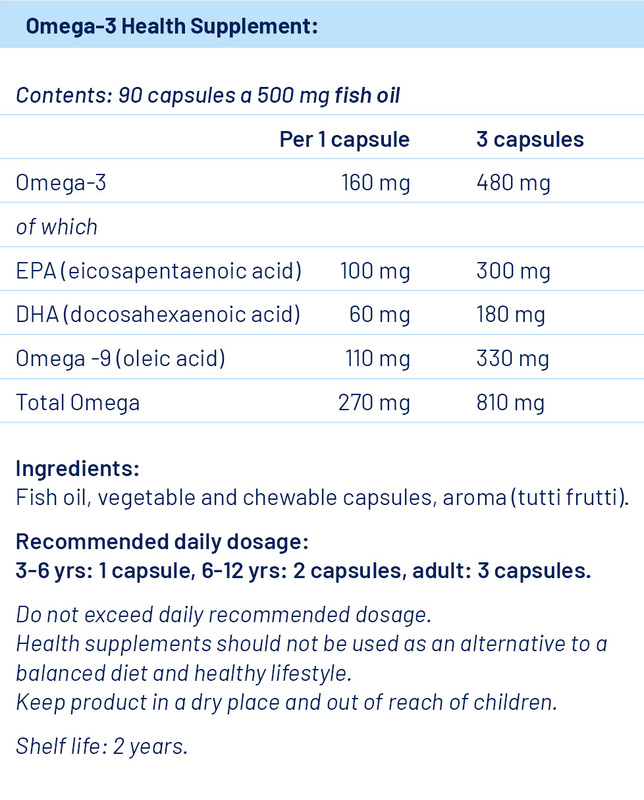 Omega-3 is the worlds most tested food supplement, and has a wide range of health benefits. Our Omega-3 comes in in vegetable and chewable capsule. - Omega-3 fatty acids are polyunsaturated fatty acids that are essential nutrients for health, and since our bodies cannot make Omega-3 fats, we must get them through food or supplements. - Worlds most tested food supplement. What does Omega-3 do, and why do health authorities worldwide recommend daily consumption? - Can significantly reduce the risk of coronary heart disease and heart attacks. - Plays a crucial role in brain functions, and is particularly important for memory, concentration and development. - Can help reduce inflammation and stiffness in joints.